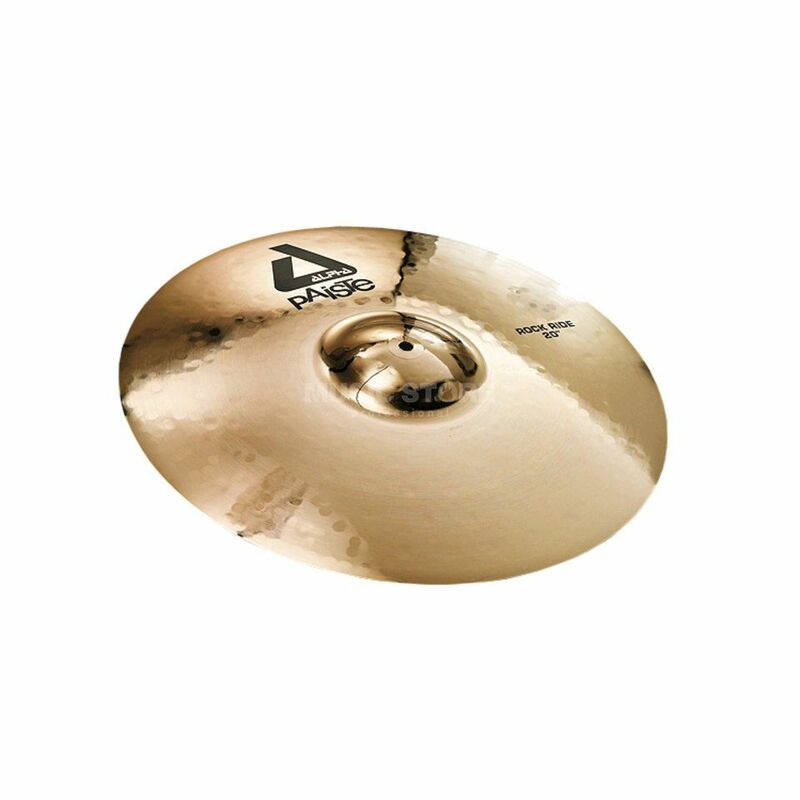 The Paiste Alpha 20" Rock Ride Cymbal provides a pronounced, round, glassy ping over a balanced and controllable wash with a clear, full, big bell sound, fairly integrated, and well balanced within the overall cymbal sound. Perfectly suited for forceful playing in aggressive music styles, where wide dynamics are required. Very nice sounding ride, with cutting sound and pitchy bell but not without some overtones. Really good for rock/metal music since it has a high frequency sound. I think that maybe the 22" model will be even better with a more full-body sound. Once again of course the price/quality ratio is amazing, and the finish looks brilliant.